Los Blancos are starting Gareth Bale in attack, alongside star man Cristiano Ronaldo. Defending champions Real Madrid host Juventus for the second leg of their UEFA Champions League quarter-final tie at the Santiago Bernabeu on Wednesday night and both sides have revealed their respective lineups. Real boss Zinedine Zidane has opted to bench compatriot Karim Benzema for the clash against the Serie A leaders, with club-record signing Gareth Bale coming in for the Frenchman. Cristiano Ronaldo partners the pacey Welshman up top, with Isco slotting in just behind them as Luka Modric, Casemiro and Toni Kroos shoring up the midfield. In defence, the hosts have been forced into a change with skipper Sergio Ramos suspended, as Jesus Vallejo comes in to the XI alongside Raphael Varane, Marcelo and Dani Carvajal in front of custodian Keylor Navas. Massimiliano Allegri has sent out Juve in a 4-3-3 with Gonzalo Higuain retaining his place at the tip of the attack and the former Real Madrid man is flanked by Douglas Costa and Mario Mandzukic. Blaise Matuidi and Sami Khedira feature in midfield alongside the returning Miralem Pjanic. Alex Sandro, Giorgio Chiellini, Medhi Benatia and Mattia de Sciglio complete the four-man defence in front of veteran shot-stopper Gianluigi Buffon. 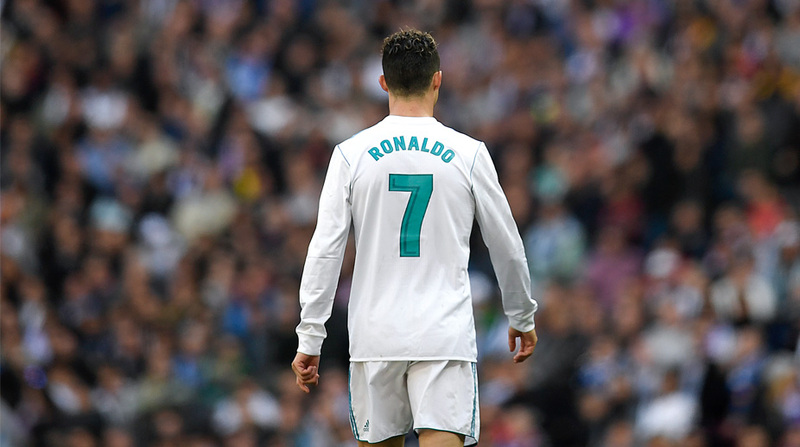 After Los Blancos’ 3-0 romp in the first leg, they are overwhelming favourites to progress to the last-four but will have to be wary of complacency creeping in as they face a Juventus side who will be desperate to get one over the Spanish giants. After their disappointing loss to Real in the 2017 UEFA Champions League final, many were expecting the Bianconeri to give the 12-time winners a run for their money but thanks to the prolific talents of Cristiano Ronaldo, it was more of a procession than anything else. Only three teams have overturned a 3-0 deficit from the first leg in Champions League history, with the latest one being fellow Italian side AS Roma (Over Spanish opposition—Barcelona—no less!) but none have accomplished it after losing the home leg, so the odds are firmly stacked against the Bianconeri. Real Madrid: Navas, Marcelo, Vallejo, Varane, Carvajal, Ronaldo, Kroos, Modric, Casemiro, Bale and Isco. Juventus: Buffon, De Sciglio, Benatia, Chiellini, Sandro, Khedira, Pjanic, Matuidi, Costa, Higuain and Mandzukic. Match kicks off at 20.45 GMT/00.15 IST.